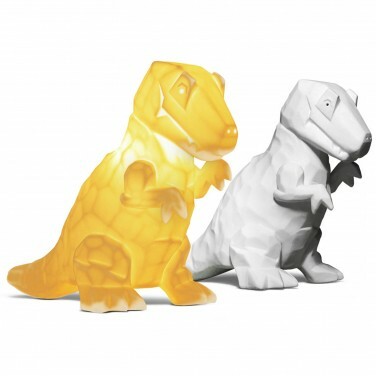 More friendly than ferocious, this funky T-Rex dinosaur lamp is made from white porcelain which allows it to shine with a warm white comforting glow. 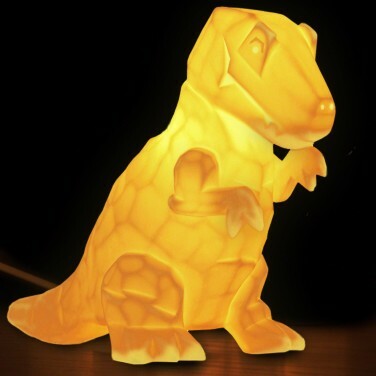 Just the right size for bedside tables, this T-Rex has a textured body that's highlighted when the lamp's on and the pinhole detail in the eyes and nose allow the the light to shine through to make a stunning bedroom lamp. 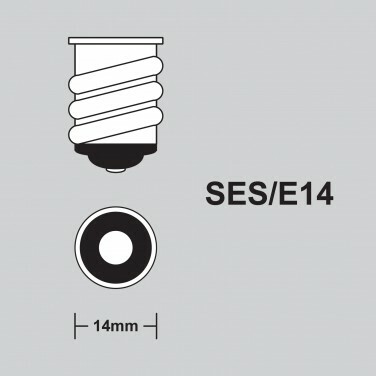 Mains operated and with an inline switch, this dino is suitable for use with an E14 bulb (not included) and is guaranteed to make kids smile.